Besides an excellent product or service, a successful business is built with a string of marketing efforts. 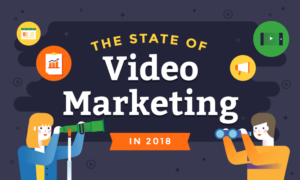 Video marketing is one of the most influential. Many companies choose to outsource their marketing because they think it’s better to leave it to the pros. It’s not as hard as it sounds. Heck, you can have the general framework done in under 1 hour. But it does require more than just a shower of thoughts to execute the whole plan. Those companies can actually do their marketing themselves as long as they know the right way to do it. In this post, I will explain how to plan your video marketing to align with your company’s objectives. The first step in mapping out your self-planned video marketing strategy is to establish your mission. Mission-based marketing, as Chris Savage from Wistia puts it, focuses on creating content that furthers your mission, instead of making content that sells your product. Mission-based marketing is not new: Large B2C brands like Nike and GoPro have been doing it for a good while. Nike is not just selling sneakers, they are selling the idea that anyone can be a great athlete. 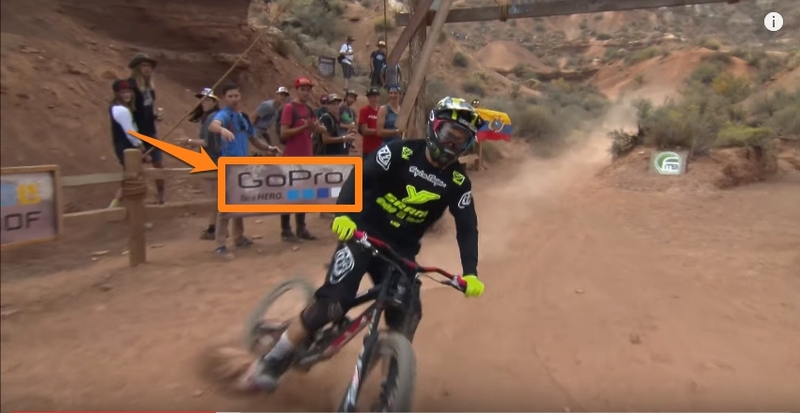 Similarly, GoPro often share first person videos of people partaking in extreme sports. They also sponsor extreme sporting events like Red Bull’s Signature Series. Their marketing is designed to make these kind of activities seem less intimidating to their audience than they may sound on paper. Mission-based marketing attracts people with the same vision as you and who have similar problems to overcome. One of those problems can be solved by using your product or service (as they’ll find out) while other problems will be solved by your video. Establishing your mission is not as complex as it sounds. It’s basically just messing around with your imagination. The difference is that you are actually going to make it happen instead of simply daydreaming about it. If carrying a small notebook in your pocket feels too lame for you, you can always get a note app for your smartphone. I have experienced the benefit of both carrying a small notebook and installing a note widget on my smartphone. I have learned that the most brilliant ideas come at the least expected times and places. Create a scope of ideas. Once you have a vague imaginary pathway for moving forward, you have to expand it in several different directions. Your mission should be broad enough to cover all aspects of your video marketing but focused enough to have a real impact on your audience. Ask your audience what problems they have. Chances are, your customers have a lot of problems in their lives that you can solve with your product or service. The easiest way to figure out what those problems are is by asking them, not by doing guesswork which may or may not be beneficial for your future plan. Now that you have ground to stand on, your next step is to do the actual planning. We’re not talking about marking down dates on your desktop calendar. Your plan is the framework that will guide you through your video marketing funnel. First off, you have to figure out what kind of video you actually need. 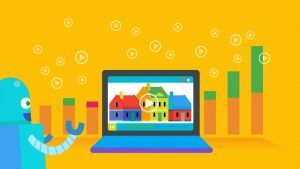 Is it a standalone explainer video for your landing page and YouTube channel? Or a video to go with your next case study or blog post? 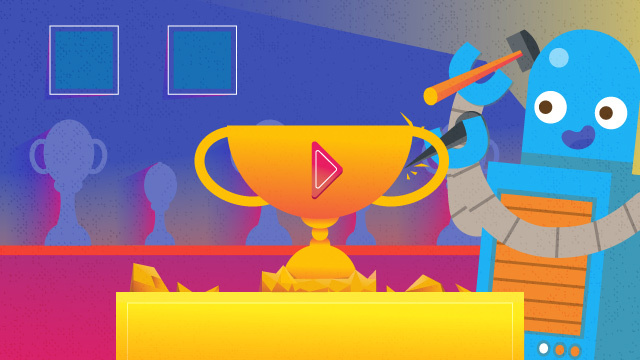 If you’re planning an explainer video for a landing page or tutorial, you should read our guide to choosing the best animation style for your explainer video because each style doesn’t always work for different types of products/services. The safest option is to choose a professional service that specializes in video production, say an animated explainer video company or video shooting studio. What does your audience look for? Making a video for marketing purposes is tricky. You have to make a video that aligns with your objectives while also providing real value for your audience. 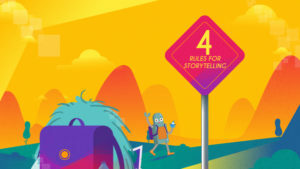 You can gather ideas for your video by taking a look at your frequently asked questions or by using common misconceptions your audience has about your product or service. 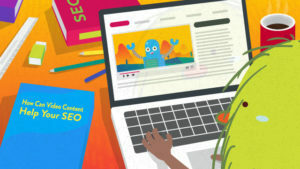 Once you find out the most FAQs or the most common misconceptions, create content that answers those questions specifically. If you’re not a company that specifically works on graphic design or video production, it’ll be quite tiring to produce a really good video. But if you’re planning to make a number of vlogs (video logs) or customer testimonials in the long run, it might be wise to invest in lighting equipment, audio and decent cameras. The best part of doing that is that you can create vlogs and testimonials in-house whenever you need or want to. Last but not least, the timing. You have to know when the best time to publish the video is, just like you would with blog posts and social media. It’s also important to decide beforehand whether you are going to make one-time video content or periodical video content. That way, you can work more efficiently when gathering the information and deciding what to factor into the video(s). When making a promotional video for a product, you will be better off planning a timeline for the video release: Is it before the product launch or after? If it’s before the launch, when is the best time to catch as many pairs of eyes as possible? You also need to incorporate video projects into your company’s calendar. Don’t count solely on publication date. Take into account how long will it take to produce the video, to record the voiceover, to edit, and so on. Having the first two steps done means you have done the hard part of the video marketing grand plan. Now the only thing you have to do is reach out to production companies and find one that meets your criteria. I suggest you start out by finding the best scriptwriter you can get your hands on. The script is a decisive factor in the success or failure of your video. 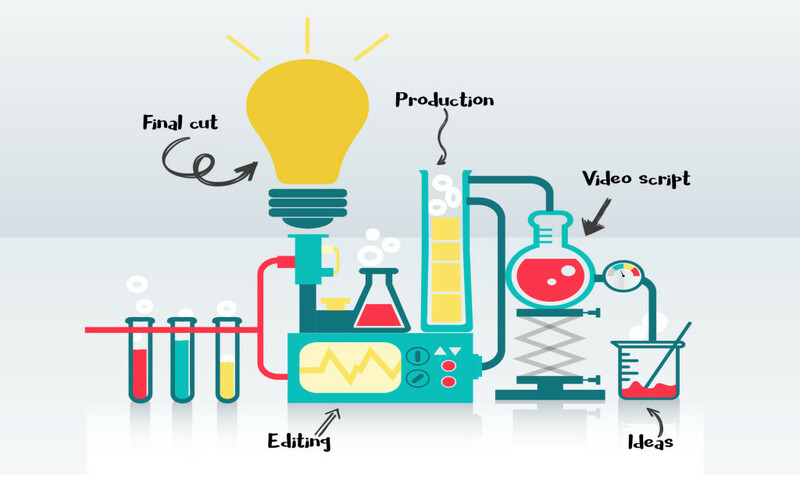 Read our article on explainer video scripts for an overview of elements to include. Have a video produced, but don’t be overly demanding. Have realistic expectations for the quality, cost, and timeline for producing your video. And last but not least: Promote it like hell by reaching out to influencers in your industry and publishing it on YouTube or other suitable social media sites. 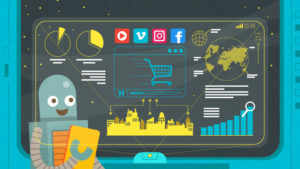 Fun fact: An explainer video is one of very few deciding factors for influencers when choosing whether or not to use your product. Be sure to read our social media video tips beforehand to avoid the adverse effects of sharing with the wrong audience. It’s almost impossible for a non-video company to drop a video every week for marketing purposes. But that’s okay. In addition to that, you should not spend all your marketing efforts on producing videos. It is best to spread them evenly among all marketing content, such as infographics. And speaking of infographics, here’s an ultimate guide to viral infographics for marketing. Phil Nottingham from Distilled has a unique abbreviation for this: ABV (Always Be Valuable). Consistent quality should always come before a consistent schedule. This means that whenever you’re planning to create content, that content has to be hyper-targeted for a very specific audience and serve a very specific purpose. To better understand it: a house is better than an RV because it’s specifically made as a place to live in. An RV, on the other hand, serves two purposes: a house and a vehicle. That’s why it doesn’t appeal as much to most people. Establish your mission and generate a scope of ideas to answer your audience’s questions. Plan and schedule your production and publication dates. Spare 2-3 days extra for unexpected obstacles along the way. Be consistent with the quality, not the quantity, of your video content.